The Novosbed mattress is an 11″ mattress made up of 3 layers of foam. 2″ Top Comfort Layer – This layer is 2″ of ultra-dense memory foam, designed to provide comfort and ensure cooling during sleep. It also is designed to provide support and relieve pressure points. The aerated foam allows free circulation of air through the mattress and keeps it cool. 2″ Support Layer – This layer is 2″ of additional ultra-dense memory foam, designed to provide support and responsiveness and regulate transitioning motion between the upper and lower layers. The cover of the Novosbed mattress is made of polyester, silica, modacrylic, and Tencel, and it has a very nice soft textured pattern and feel to it. The zippered top of this cover allows adding the Comfort + top kit, and it is easy to be removed for cleaning purposes. The Novosbed is offered in 3 firmness options. The one we reviewed is Medium firm, and it scores 7 out of 10 on the firmness scale, with 10 being the firmest. It felt a little firm to Andrew who is significantly heavier than me, and who often tends to compress through the top comfort layers and feel more of the support layers beneath. However, after we zipped a complimentary Comfort + top kit to the mattress, which not only increased its height but its overall comfort as well, it wasn’t so firm anymore. After sleeping on it for about 2 weeks, the mattress softened even more and completely adapted to our bodies becoming much more comfortable and supportive for Andrew’s 230lb weight and large 6’+ frame. For me, the Novosbed was of perfect firmness. It provided the hug and contour of classic memory foam that I like so much without causing me to feel enveloped by a mattress. In terms of support, we feel the Novosbed mattress does a really good job of providing excellent support in all sleeping positions. 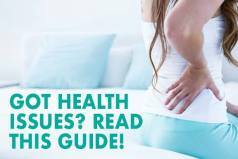 It provides enough give in the top comfort layers to support your hips and shoulders and enough firmness necessary if you switch to your back or stomach. As I have already mentioned, the Novosbed may initially feel a rather firm and not as cushioned due to the slower-response memory foam in its construction. But, with time, it will become much more comfortable, and it will perfectly adapt and mold to your body without causing the feeling of being trapped in foam. It is a comfortable mattress and supportive enough to support and distribute our weights evenly across the bed. It is especially good for heavier sleepers like my boyfriend, and it provides a nice degree of responsiveness needed when changing positions during the night without causing too much motion transfer. Although you may feel slight heat retention from the mattress, which is common for most all foam mattresses, the Novosbed does a really good job at keeping you cool throughout the night due to its dense foam layers. 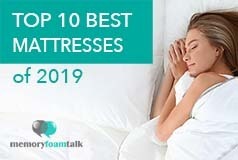 It may be an all foam mattress, but it will not cause the sticky, sweaty feeling typical for most memory foam mattresses. 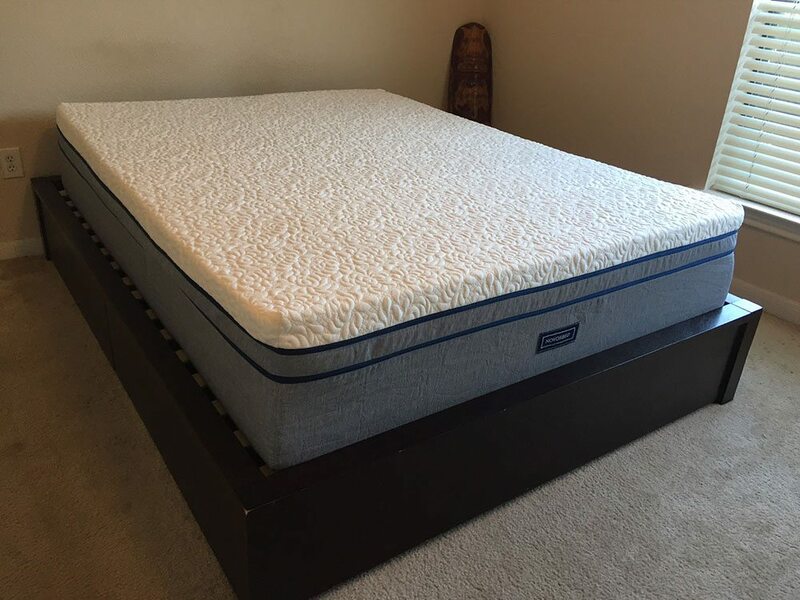 When compared to other mattresses we have reviewed, this mattress does an excellent job of minimizing sinkage and motion transfer, although this is largely weight dependent. The classic slow-response memory foam within this mattress isolates motion transfer and reduces it to the minimum thus allowing a sound and undisturbed sleep. Edge support is also very good with this mattress, and better than in most other memory foam mattresses we have tested to date. There was a minimal amount of off-gassing coming from the Novosbed mattress when we opened the package, which is to be expected given its all foam construction. But, it was nothing overpowering, and it dissipated during the night. The Novosbed mattress is reasonably priced coming in at $1099 for a Queen. You can save additional $100 by applying our MFT100 coupon. Click here to read the full Novosbed mattress review. While the Novosbed is offered in 3 firmness options, the Casper mattress comes in one universal firmness option designed to appeal to around 80% of sleepers, and we rate it at a 6.5 out of 10 (10 being the firmest). Just like the Novosbed, it does a great job of providing body hug and contour without causing you to feel trapped in foam, and it is supportive enough for all sleeping positions. It has enough give in the top comfort layer to support your shoulders and hips and enough firmness if you switch to your stomach and back. Being designed to sleep cool through advanced testing and molecular engineering, the Casper mattress does a great job at not sleeping hot. The open-cell foam used in the top comfort and cooling layer helps promote airflow throughout the night and prevent heat retention. 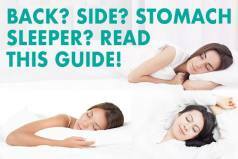 Below is our comprehensive side-by-side comparison of the Novosbed vs. Casper mattress. Classic memory foam feel – The highest quality memory foam within the Novosbed mattress does a pretty good job of providing deep compression support, pressure relief and contouring to your body. It provides a hug typical for memory foam without causing you to feel enveloped by a mattress. A mattress with different firmness options – The Novosbed mattress comes in three firmness options and a complimentary Comfort + top cover which adds to the overall comfort of this mattress. This additional layer allows you adjust the firmness level of your mattress according to your needs. Sharing your bed – Being an all foam mattress, the Novosbed does an excellent job of reducing excessive motion transfer. It also doesn’t cause a large degree of sinkage which makes it a perfect option for couples. So if you plan on sharing your bed with a partner, the Novosbed may be the right pick for you as it will not cause you and your partner to roll into each other and feel as if you are sinking into a hole. It will allow you to change your sleep position or get in and out of bed during the night freely without disturbing the sleep of your beloved one.